Kit Out The Kids and Family is a social enterprise involved in the recycling of good quality clothing for everyone. To learn more about what we do please visit our website click here. 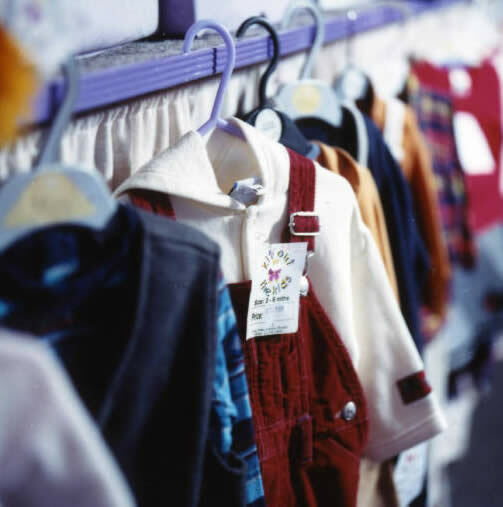 We have an extensive network of collection points which we collect from on a daily basis.Through our shop at 117 High Street Rhyl, we sell a very wide range of good quality clothing.This, in turn, benefits other members of the community with low-cost quality clothing. We also collect textiles through our kerbside collection service and our clothing banks. Local donations create local jobs and support services in our communities. Supporting our local economy and its people.We then prepare the clothes for resale at our sorting centre located in industrial units in Rhyl. We take donated items and sort and grade them, clean and repack all the items we can reuse locally. All of the donated items have an end-use we endeavour to minimise any waste.This creates a wide range of jobs for people and opportunities for people with learning disabilities.